The Open Identity Exchange (OIX) has today published a white paper kicking off a discovery exercise to explore the range of needs for identity assurance in the private sector. Through this piece of work, OIX is aiming to gather views from a wide range of people and organisations. OIX projects are open and the results published on the OIX website, so everyone will be able to learn from this exercise. We think this is a particularly valuable project. It will help us to develop a much deeper understanding of the current state of the market for identity services. And it will give us a structured insight into the range of needs for identity services and how different sectors, and different types of organisations within each sector, think the market needs to develop. 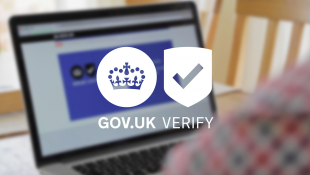 We’d encourage anyone who is interested in the development of the market for identity services in the UK to read the white paper, respond to the questionnaire and attend the workshops OIX is organising. If you’d like to be involved in the project please email OIX and they’ll send you the details for the workshops and a link to the online survey.